Noticed but brushed aside. No one entirely ignored the Grizzlies during the regular season. They made some noise and fought hard for some big wins (the Rudy Gay buzzer beater over Miami in November; splitting the season series 2-2 with the Lakers). But most of the attention was paid to the established, sexier teams (Lakers, Celtics, Heat, Spurs). The surprise that never should have been. When suddenly the Grizzlies made the playoffs and upset the Spurs, people started paying attention. Had anyone looked hard at the team and its roster all season, they could have seen signs that this was possible. 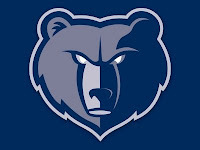 Now that we're in the playoffs and bloggers are finally being taken seriously, there are still upsets to pull for both the Grizzlies and all you fans out there hoping to create a niche for your site. Athleticism: The Griz are more nimble than others. They out-jumped, out-sprinted and out-defended the Spurs using youthful athleticism and energy. Bloggers are more nimble than lots of print journalists who have yet to embrace new media (though that number is dwindling -- a good sign for new media enthusiasts, since journalists clearly now realize the value). Online, athleticism means being nimble, flexible and skilled in a diverse way. Tools like Twitter and site analytics let you post quickly and adapt your site based on users navigating to, from and throughout your site, while being able to use multiple media (text, image, video) keeps you a destination site for readers. Underdog Mentality/Togetherness: Memphis is the 8th seed to outsiders only. To them, they're the best team out there, and they play like it. They use that "us against them" mentality to their advantage, banding together and feeding off each other. 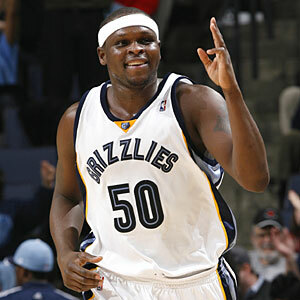 Zach Randolph and Tony Allen provide the irrational, slightly unwarranted confidence, but that's greatly needed. Marc Gasol was a throw-in and Mike Conley a role player paid the big bucks to run point, but both are blossoming. And sure, you have the players who think they're better than they actually are (O.J. 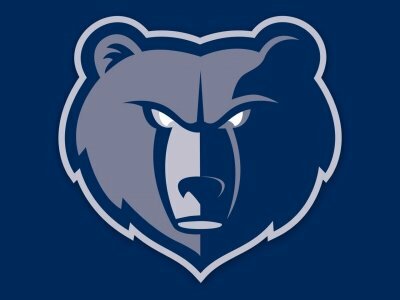 Mayo), but all in all, the Grizzlies win because of that mentality and togetherness. Bloggers need each others' links and suggestions, as well as guest posts, retweets and general support. When no one else seems to be reading, rest assured that other fan bloggers are in the same boat. Still others have improved readership and content quality and can teach the rest of the community. Hustle, Hustle and more Hustle: The Grizzlies flat out play harder than other teams. Lionel Hollins has them busting their butts every night. Similarly, bloggers just need to give a crap. They need to try! They aren't going to be able to post once a month and expect readers, nor can they waltz up to Madison Square Garden and get in by flashing their blog URL. They don't have all the resources or all the benefits of a well-known brand...so they need to out-hustle them. Who from the NBA do you most associate with your blog and your style?